This year, we will be offering online registration for the MSCC for the 2014-15 school season. 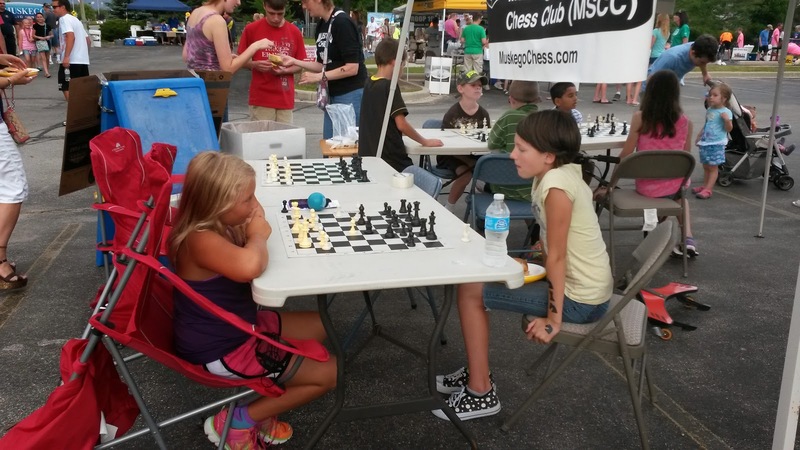 See the red button on the upper-right hand corner of our MuskegoChess.com web site! There will be a $20 per student fee which covers class, and materials use, for the full year. Classes will start October 1st and will be held Wednesdays during the school year from 6:30-8:00pm in the Muskego High School cafeteria. Another year of High School conference chess begins! While it's interesting to see that we have a good chance in our conference and maybe even the championship this year, I'm just as excited about our next "crop" of kids coming up in the wings! It's great so see so many kids who will be ready to jump into the high school team once our successful Muskego Chess pioneers (Jason, Reid, Evan, Rachel, Kolt, Sam, etc) have graduated! 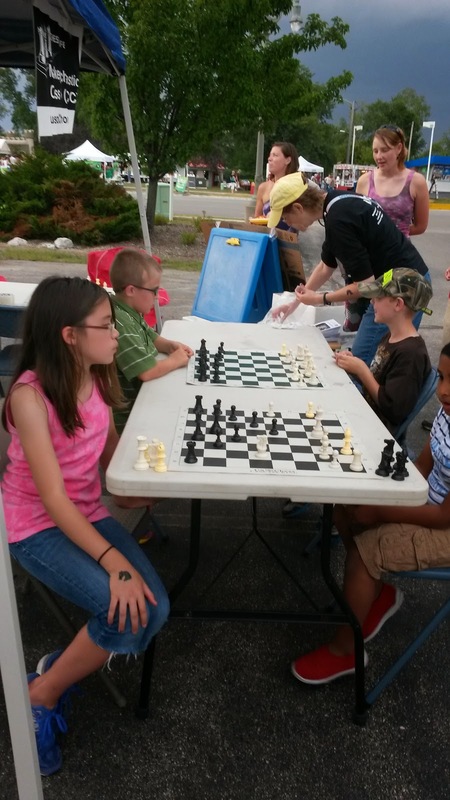 In addition to some strong 8th and 9th graders (Bognars, Brian, etc), we have several 6th and 7th graders who have shown a lot of potential and interest in chess - players like Aaron, Kyle, Willow, Matthew, Will, Nick, David, Noah, Bill, Kenny, Kolton, Anoushka, Alyssa, Mitchell, Makayla and more! The high school team every week plays against other high schools - the top 10 available players will get an "official" board, and others are welcome to play practice matches. The Top 5 rated players every year play for the state Varsity championship! High School Conference matches start sometime in November, and the state championship is in April at UW-Oshkosh. Who will step up in the next couple of years to continue our tradition of high school chess? BC OPEN - Sat 8/16 - Last call! Several Muskego players already signed up for the BC OPEN this Saturday! For those who haven't yet registered, now's the time to try a nice local USCF-rated tournament! Warm up for the season and work on that rating! This one is at the Country Inn and Suites in Brookfield. This one is awesome because there is an "RBO" which is Rated Beginner section - for players whose ratings are below 1000 !!! There is also a Reserve section for players whose ratings are below 1600. Several kids from Muskego have already signed up, including our top 3 boards, Jason, Evan and Reid. Registration is $35 now, but raises to $40 after 8/14. Advance entries: (Make check payable to BenzoChess) - call/email Ben directly for this one! Tonight didn`t last too long thanks to Mother Nature but we did have fun while it lasted and it was nice to meet new faces.